Bill Cosby will be sentenced over ​a ​two​-​day​ hearing in September, a Pennsylvania judge ruled Tuesday. The convicted sexual predator will learn on Sept. 24 and 25 whether he’ll be sent to prison for the 2004 attack on former Temple University basketball administrator Andrea Constand. 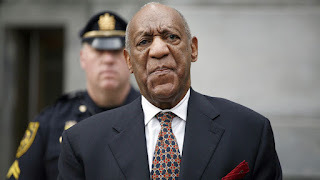 Cosby, 80, faces up to ​30 years — ​10 years on each of the three counts of aggravated indecent assault following his conviction last month — an effective life sentence.